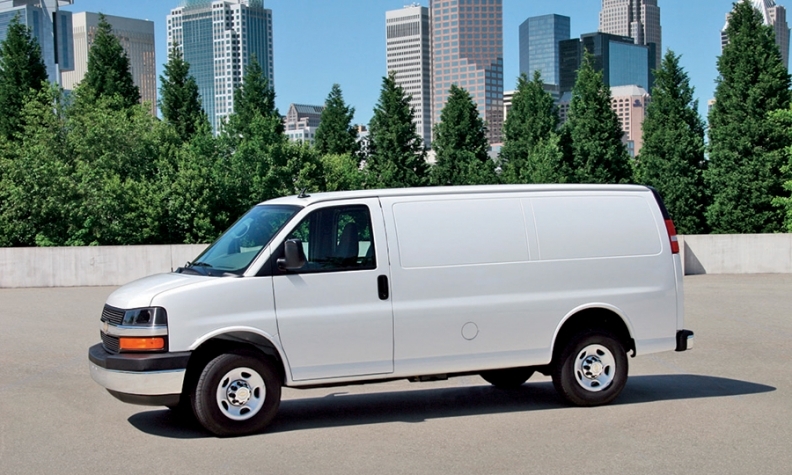 GM cut off dealer orders for vans, including the Chevrolet Express, earlier than usual. General Motors' full-size vans have been in short supply for months as GM scrambles to boost production at a St. Louis-area assembly plant, frustrating some fleet customers and dealers. The trouble began last fall, when GM started production of the new Chevrolet Colorado and GMC Canyon midsize pickups at its plant in Wentzville, Mo. That's where GM has made its full-size vans -- the Chevy Express and GMC Savana -- for two decades. With GM in full launch mode on the pickups, van production has dropped by as much as two-thirds. GM cut off dealer orders for 2015 Express and Savana models in October, more than six months earlier than usual. It's expected to resume van orders this summer, for 2016 models. Dealers have been left to soothe their fleet customers. Even on vans that dealers requested before GM closed the order bank, delivery has been pushed back by months in some cases, dealers say. "Customers are canceling van orders because they don't want to wait until July or August for delivery," said a fleet-sales manager at a Chevy dealership who asked not to be named. GM plans to add a third shift of 750 workers at Wentzville this month. Even then, it likely will take many months to clear the backlog of van demand. GM is considering running the plant 24/7 -- three shifts on Saturdays and Sundays -- once the third shift begins, according to a person familiar with the proposal. GM spokesman Bob Wheeler said the company has been surprised by the initial demand for the Colorado and Canyon, as well as the strong van sales in 2014. Combined Express and Savana sales rose 11 percent to 105,993 last year. Meanwhile, the pickups are spending a scant 16 days on dealership lots, on average, before they're sold, according to J.D. Power data cited by GM. "With both products experiencing extremely high demand, we're doing everything we can to produce more of each to satisfy the market," Wheeler said. Ken Thompson, fleet manager for Classic Chevrolet in Grapevine, Texas, said he has been working closely with fleet customers to nurse their current vans a few more months until new ones can be delivered. He says some have opted for the new, smaller City Express cargo van, which went on sale in November. Most have been understanding. "We have had some orders delayed because of the uncertainty of when we could get them delivered," Thompson said. "Whether we've lost them or not, we can't really know."